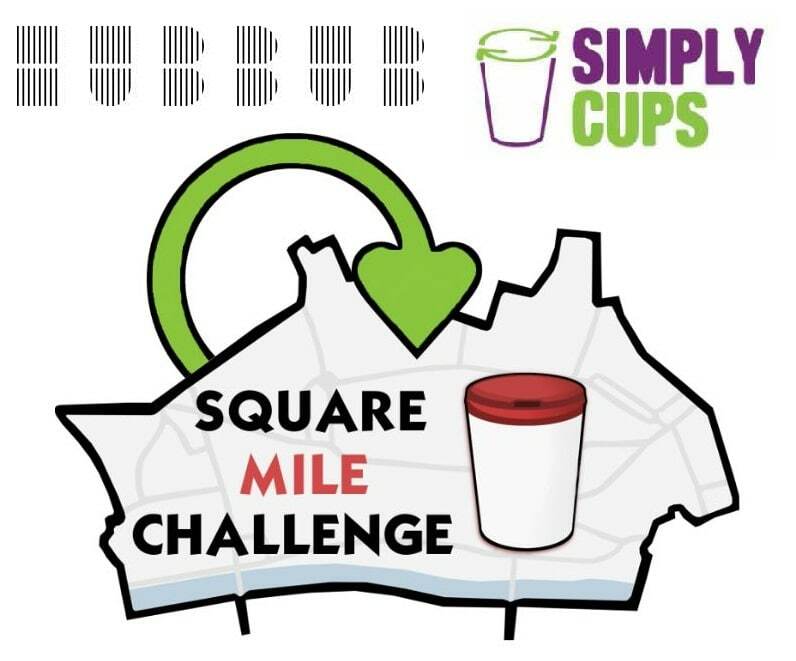 This April, charity group Hubbub, in partnership with Simply Cups will begin the Square Mile Challenge, a project to collect and recycle disposable paper cups in the City of London. During the event, Hubbub aims to collect over half a million disposable cups in just one month. Once collected the cups will be sent to a specialist recycling facility where they will be transformed into a special resin. This resin will be used create new products such as pencils or park benches and donated to local schools and community groups. Hubbub are a social enterprise charity working to create campaigns that encourage individuals and businesses to be more sustainable. In October last year Hubbub ran a smaller scale cup collection trial in Manchester, which collected 20,000 cups over 3 months. Simply Cups is the UK’s ONLY collection and recycling service dedicated to turning paper and plastic cups into second-life materials. In 2015 Bunzl Catering Supplies became founding members of the Simply Cups Scheme to provide our customers with a credible and transparent solution for recycling paper cups. Once the first month of the Square Mile Challenge is complete, the project aims to recover a further 5 million used disposable cups by the end of 2017. To support this fantastic initiative, Bunzl Catering Supplies has developed a match funding partnership with our suppliers Huhtamaki, Dart Products Europe, Seda and Benders Paper Cups. Funding and support has also been provided by some of our key customers including Costa Coffee and Starbucks. Funding is an essential part of bringing this project for disposable cup recycling to The Square Mile, which is London’s financial district and contains the highest concentration of office workers in the UK. The initiative is backed by the City of London Corporation and will include coffee cup recycling facilities being fitted in offices, shops, stations and streets. Hubbub are seeking the participation of at least 30 businesses with over 500 employees to install coffee cup recycling bins within their offices. The first 30 suitable businesses will receive free Simply Cups membership for a year. All other businesses that sign up will receive discounted rates to the scheme. After the success of the trail in Manchester, Hubbub and its supporters are excited to showcase this commercially and operationally viable solution for responsible disposal and recovery of paper cups within the bustle of central London, with hopes of other areas following suit. To join the challenge or learn more, take a look at the Hubbub website. To find out more about the Simply Cups Scheme take a look at our video. As part of Bunzl plc, we will be supporting Hubbub's #LeedsByExample campaign.